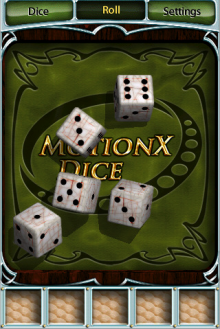 MotionX has released a free app called MotionX Dice [App Store]. The free dice application provides you with five dice that can be rolled by simply shaking your iPhone. The physics and visualizations serve as the basis for their $4.99 game MotionX Poker [App Store].